Seth Fedelin, ka-partner si Andrea Brillantes sa 'Kadenang Ginto'! Seth Fedelin joins the 'Gold Squad' along with Andrea Brillantes, Kyle Echarri, and Francine Diaz! "Kadenang Ginto" is about to make our summer much better as it introduced the latest addition to their cast - former "Pinoy Big Brother Otso" teen housemate Seth Fedelin. 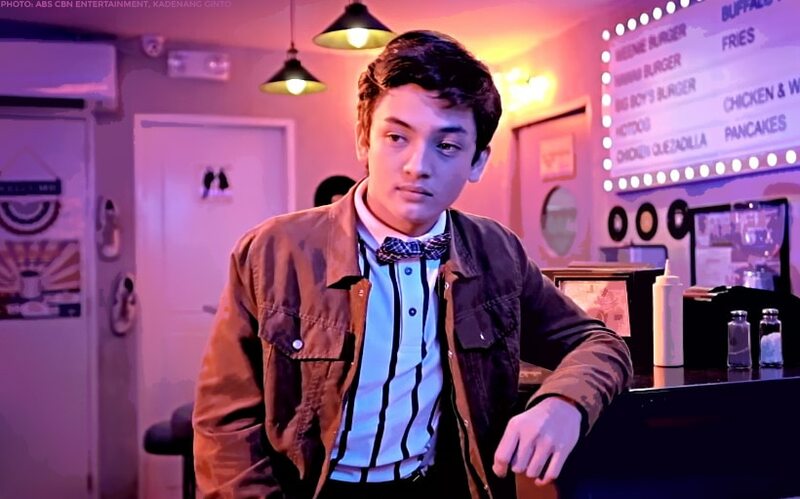 In a video recently uploaded by ABS-CBN Entertainment, Seth was revealed to be part of what is dubbed the "Gold Squad" including Andrea Brillantes, Kyle Echarri, and Francine Diaz. The '90s-themed video showed how Andrea seemed to be interested in getting to know Seth as she sits beside him while ranting about Kristoff (Kyle) and Cassie (Francine). Could he be Marga's latest love interest in the teleserye? Or is he the next guy to fall in love with Cassie? This will be Seth's first TV project after his stint in the "PBB" house. He will also star in his first movie, the upcoming Dreamscape digital film "Abandoned" alongside fellow "Kadenang Ginto" star and "PBB" alum Beauty Gonzalez. Seth Fedelin, bibida na sa pelikula!